When your pet is sick or injured, we’re here to help. Our team of board-certified specialists can provide your pet with the advanced care it needs. We have state-of-the-art equipment and trained professionals to help diagnose your pet. We understand how frightening it is when your pet is ill or injured – especially when it’s after hours and your family veterinarian isn’t available. That’s why we’re here. Open 24/7, Beacon Veterinary Specialists offers the area’s pet owners with some of the best medical expertise in advanced surgery, internal medicine, diagnostic imaging and emergency & critical care available. Conveniently located off I-680 in Fremont, CA, we are one of the few locally owned and operated specialty veterinary care facilities in the San Francisco Bay Area. 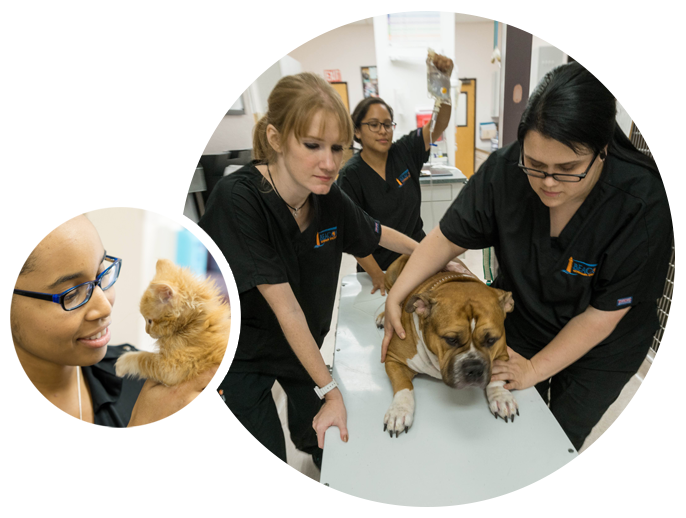 Take comfort in knowing that our highly trained and compassionate veterinarians have been serving the community for over three decades. In times of need, count on us to help your pet. "My cat had a medical emergency late night on a holiday. I called Beacon Vet, and they had me come in immediately. When we arrived, they were ready for us and took swift care of my cat. The staff was caring and courteous. Many thanks to the Beacon Vet staff enough for their excellent 24-hour care." "Beacon treated my dog that was attacked with the best care, and even though they must see dozens of these kind of things they still treated me and our dog special and important." "I was very pleased with the straightforward honesty I got from the vet on duty on when we had to make the decision to euthanize our beloved cat. The doctor was very concerned about us and our cat… very professional and knowledgeable." "Great place to go if you have a pet emergency!" "My dog & my client's dogs have had surgery & have been diagnosed here and the staff, surgeons, and facility are amazing!" "Thank you for always taking very GOOD care of my baby. She is always nervous at first... but you guys give her lots of love and attention. I love the staff...you guys are all AMAZING."